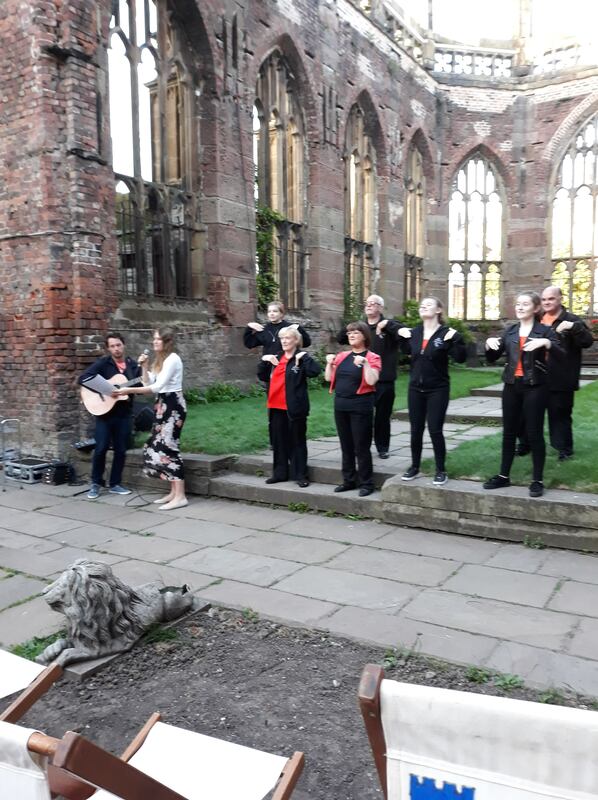 It was a chilly evening at the Bombed out Church when 8 musical acts joined Mersey Harmony to celebrate International Make Music Day and what a good time we had. 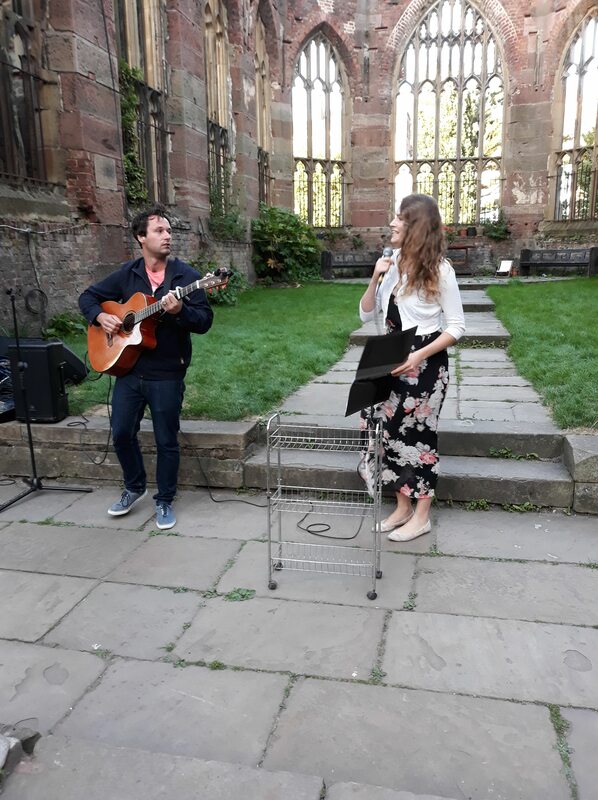 Everyone enjoyed the variety of different musical genres that had gathered together to participate/entertain this wonderful event. 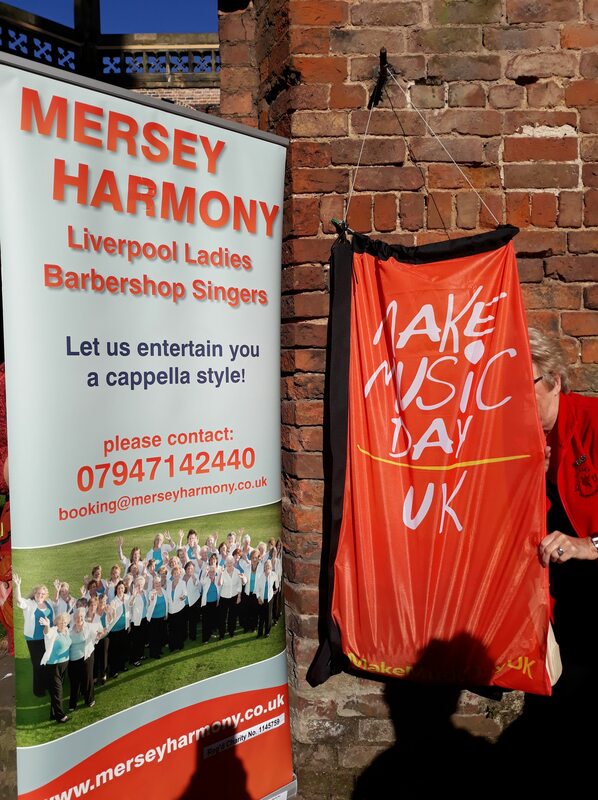 Mersey Harmony opened the evening singing 3 barbershop style songs which were well received. 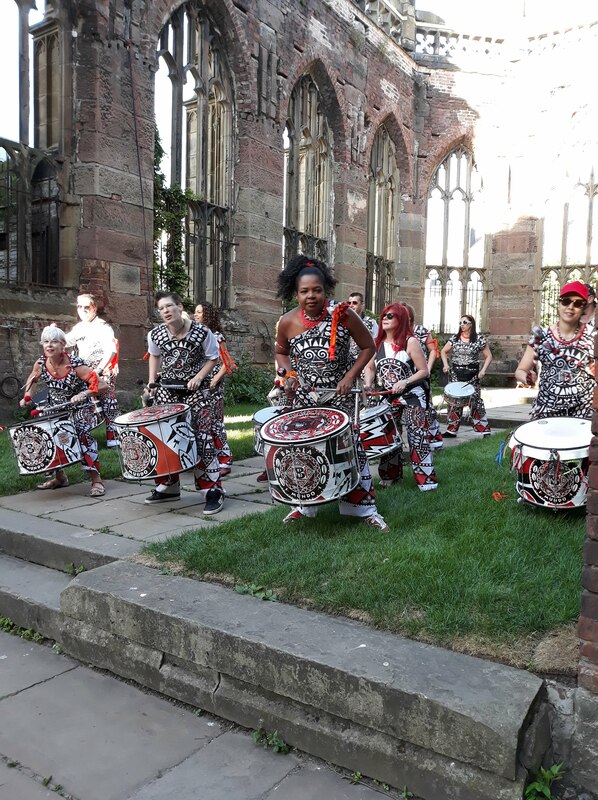 They were followed by Batala Mersey – an energetic percussion group with vibrant dance moves and breath-taking drum choreography. 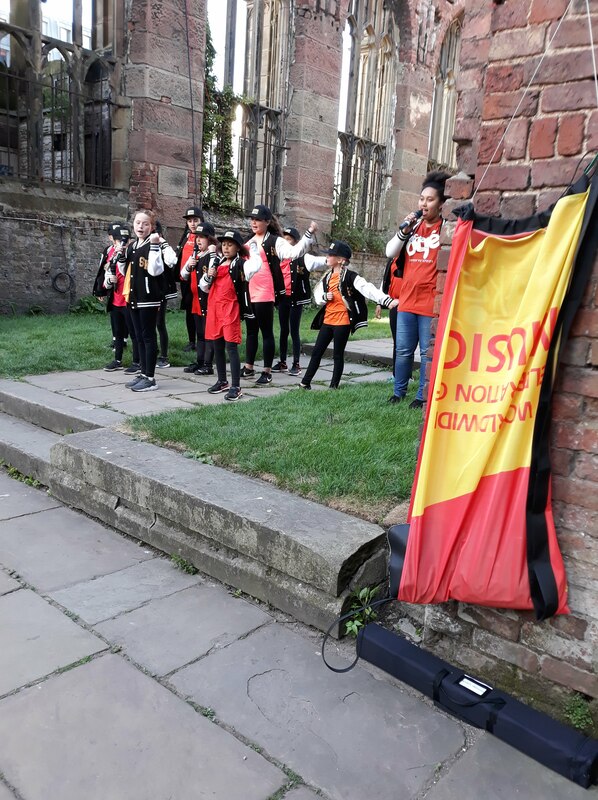 Next up were Staged Kaos – a youth theatre group belonging to the Kaos family, a respectful academy and hub of creativity, overflowing with diversity, open minds and open hearts with love and appreciation of the Arts. 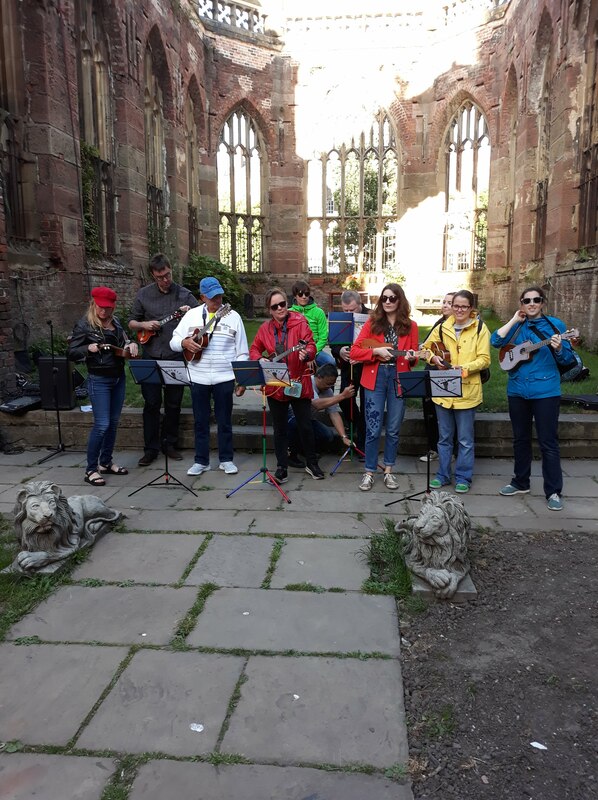 Liverpool Ukulele club (aka Uke Skool) were on next. They help teach and grow many a ukulele player from absolute beginner level through to advanced level. They delivered an exciting mix of lively music. 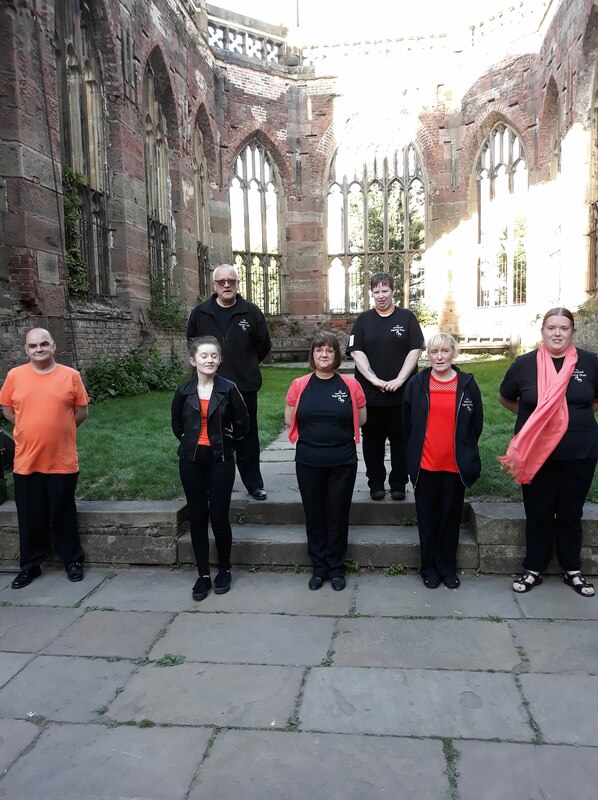 Next up were the Signing choir – an inclusive, city wide choir who use the beauty of sign language when performing songs – their voices are their hands. 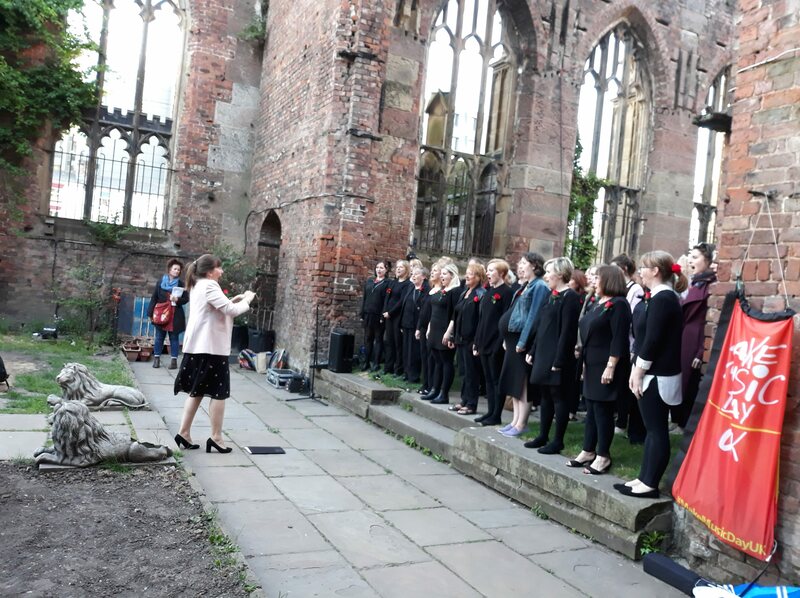 The Signing Choir were followed onto the performance space by Just Midnight – a talented group of singers from across the North West who sing a wide range of music in the unaccompanied a cappella style. 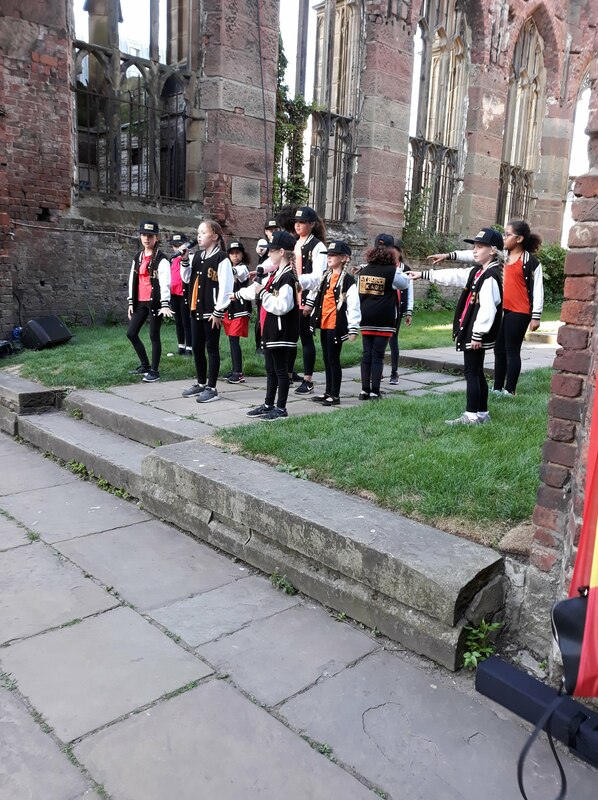 The Tone Roses were on next – directed by Fiona McCann, all members are associated in some way with St Hilda’s CE High School where Fiona is head of music. 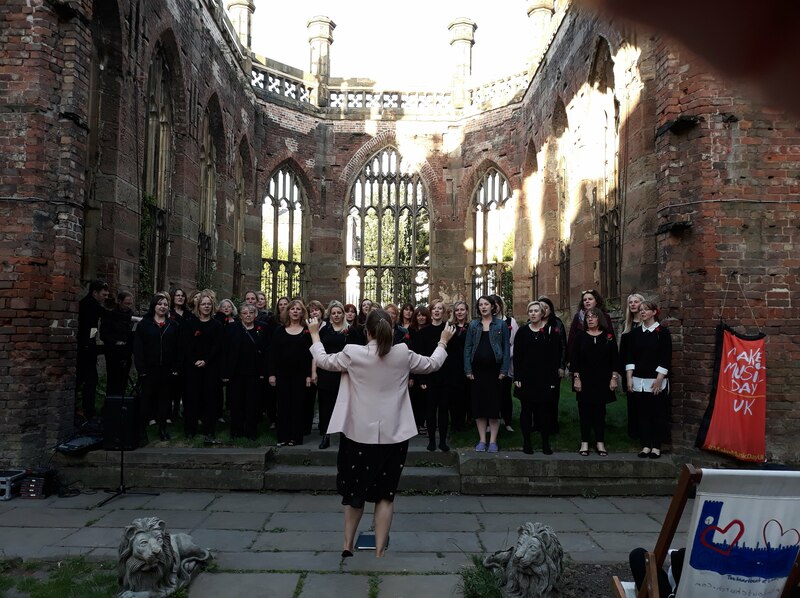 They are a 50 strong, award winning choir who entertained us with I will Survive and I will Follow Him. 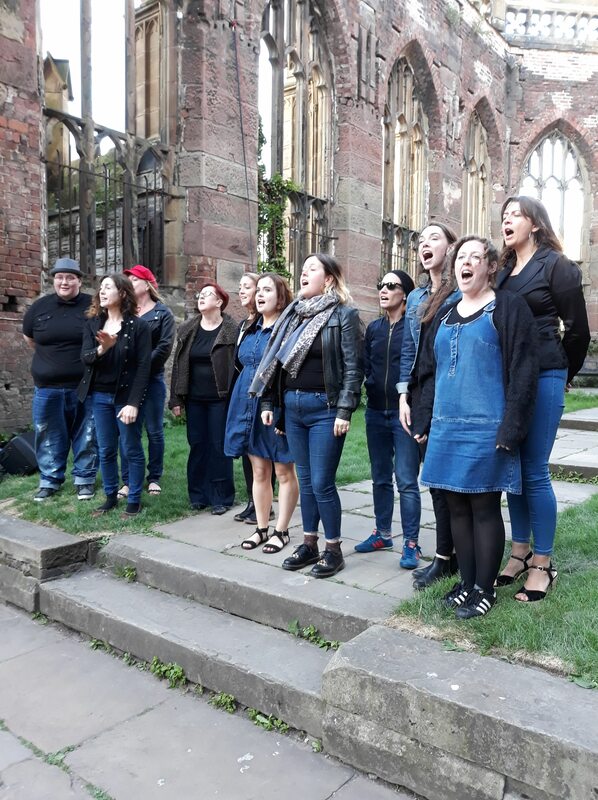 A hard act to follow but Hope Street Harmonies did so admirably. 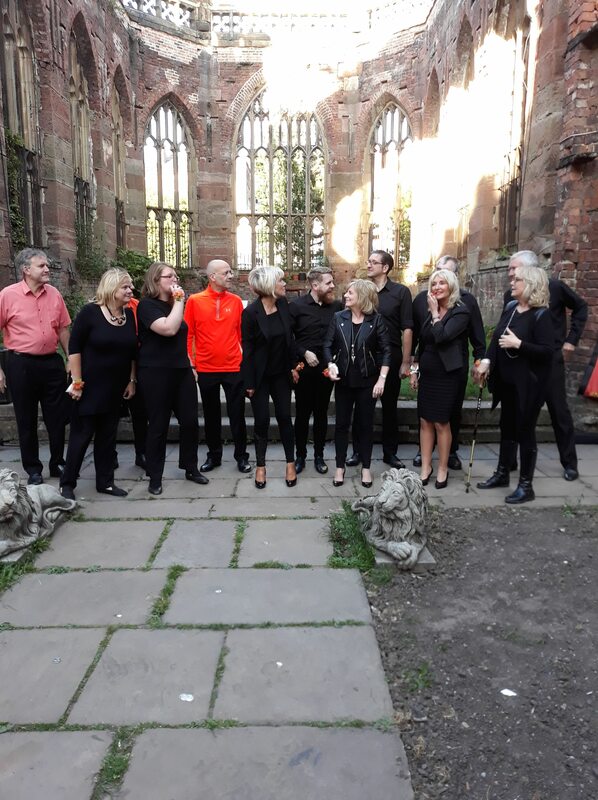 Theirs is a community a cappella choir – they are ‘chic, funky and inspire you to join in’ – Helen Jones, Radio Merseyside. Lee Webber and his wife Naomi, were next up. Lee played guitar while Naomi’s beautiful voice was enjoyed by all. 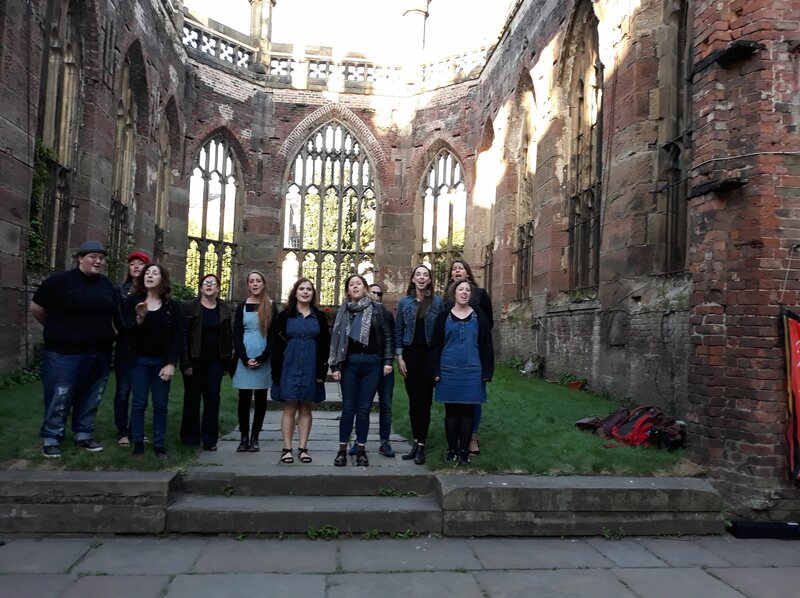 They invited the Signing choir up onto the performance space to sign their final song with them. 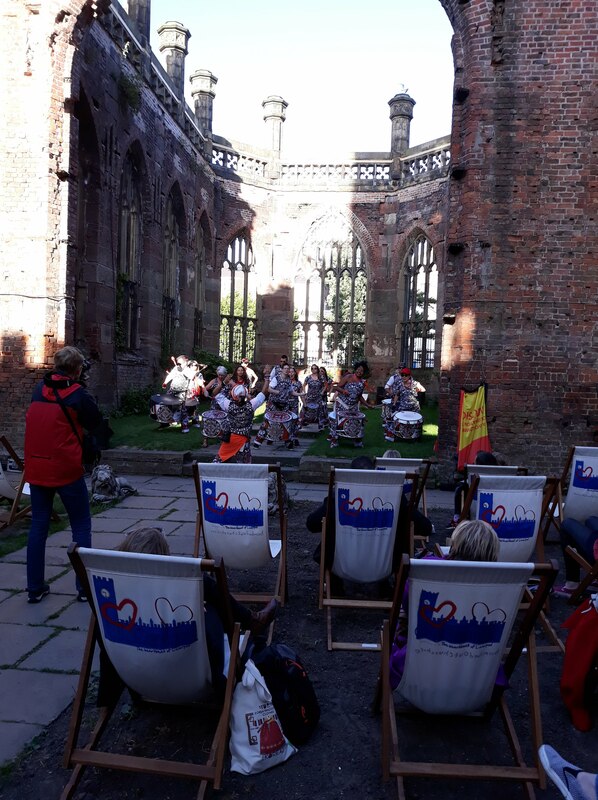 Grand Finale was led by the Liverpool Ukulele club and everyone joined in ‘Bring me Sunshine’ (perhaps we should have sung this first to keep us warm during our event)!